Hotel Da Vinci opened its doors in 2008 and is located in the heart of the heritage area of Valparaíso, between Cerro Alegre and Concepción, steps from the best restaurants, bars, small cafes, shops and viewpoints of the city. 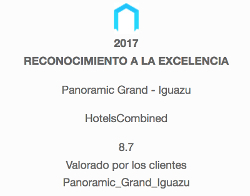 We are a team with more than 10 years of experience in the field of services and hotels, to offer a pleasant stay to our guests who year after year we prefer and recommend to their neighbors. We have friends from all over the world. At Hotel Da Vinci you will be assisted by a dedicated staff, including owners, to make our guests share experiences by the fireplace or in our sunny breakfast room. We know the needs of the traveler and can advise you on the tours of the region, whether to rest, meet, go shopping or travel throughout Chile.